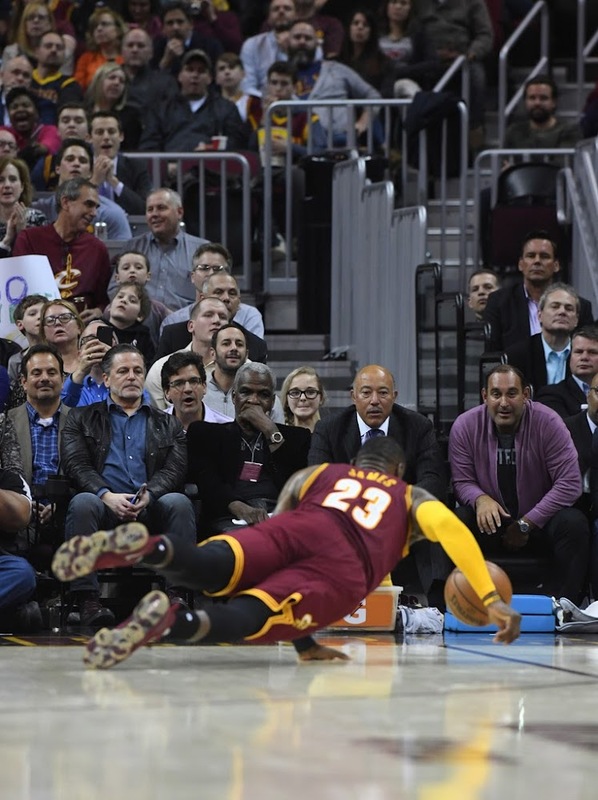 If there was any concern about the All-Star Break disrupting the Wine and Gold?s rhythm heading into the season?s second half, those worries were allayed almost immediately ? 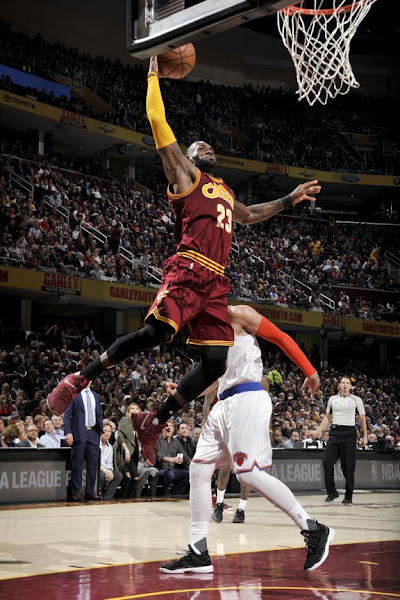 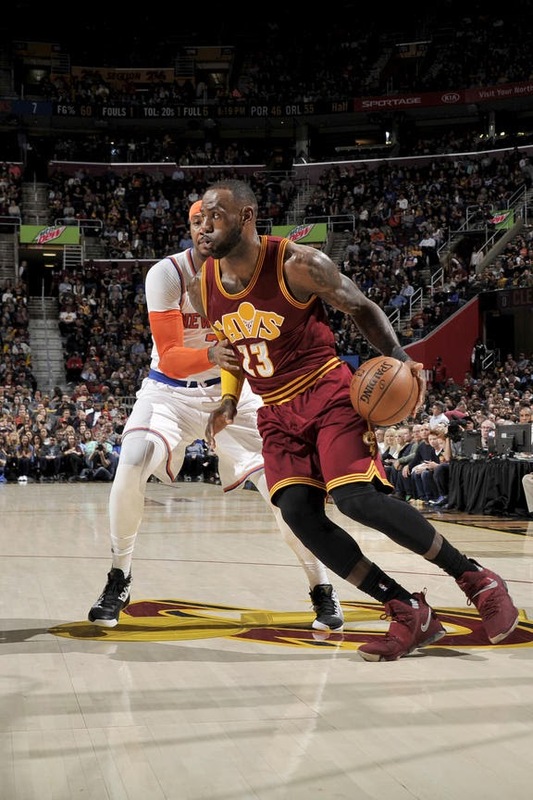 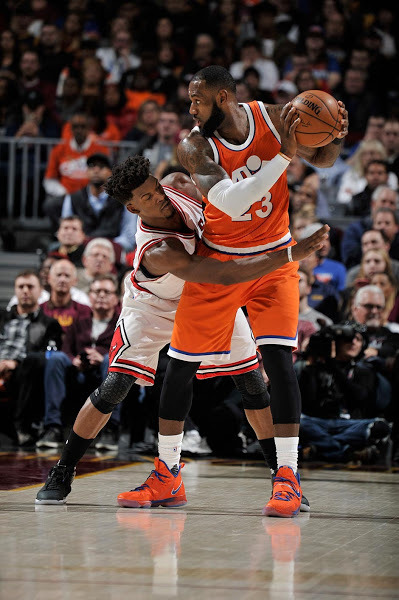 as the Cavs crushed the Knicks for the 10th straight occasion, including all four matchups this season. LeBron James notched his third triple-double in his last five matchups against New York – along with sixth this season and 48th of his career – finishing with 18 points, a game-high 15 assists and 13 boards. 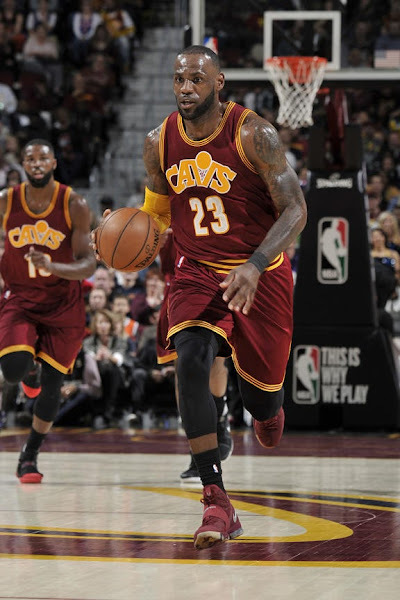 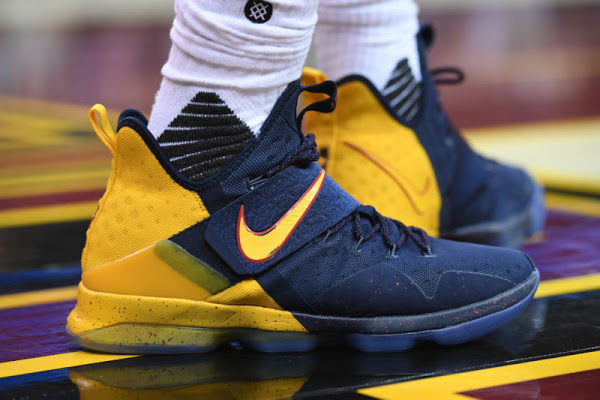 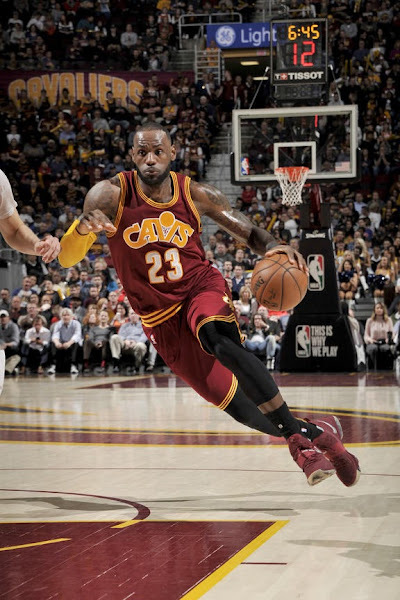 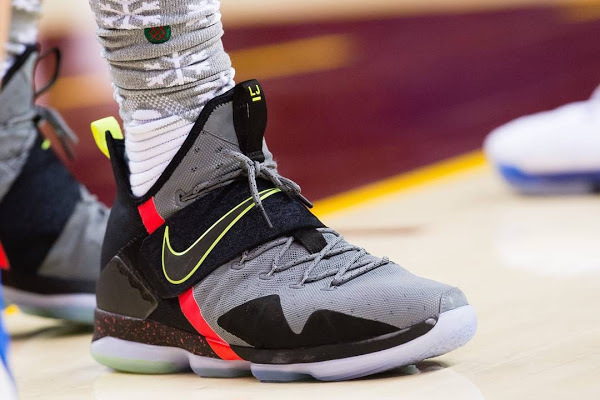 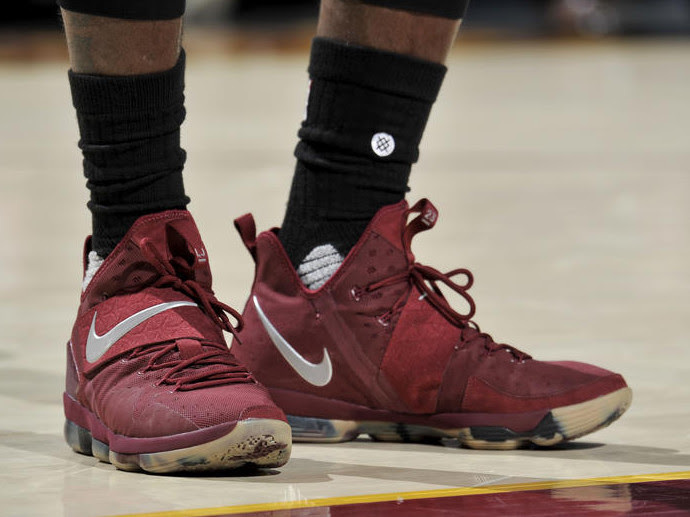 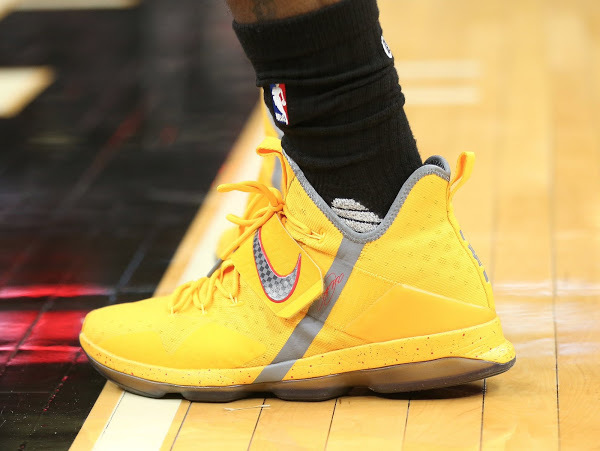 He rocked a new pair of shoes that is a great match with Cleveland’s Wine road uniforms. 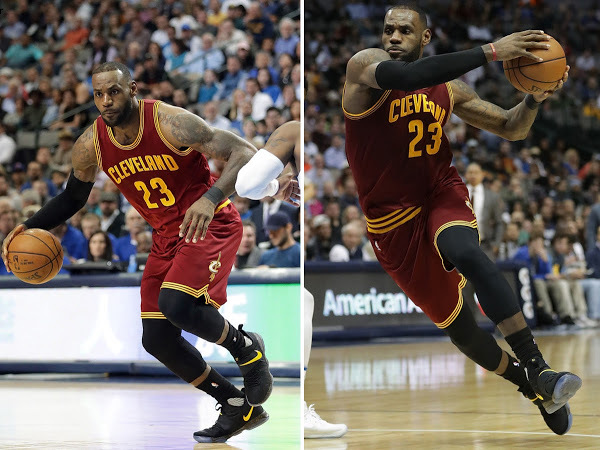 The latest Nike LeBron 14 PE stays true to the team’s native theme with a Wine base and Gold camo outsole.